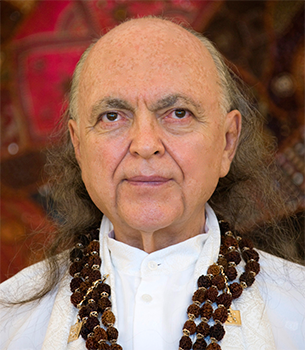 In this excerpt from a longer talk, Avatar Adi Da locates the origins of conventional religious ideas about “God” in the natural childhood situation of dependence on one’s parents. In general, discussions about “God” or “religion” tend to be naively associated with the idea of the Power that is “Other”, or the One Who is “Other”. This “God”-idea corresponds to a rather childish (or even infantile) sense of Reality. Children are not, in general, great metaphysicians or great mystics! They have some very primitive kinds of awareness, as well as some remarkable kinds of awareness that adults tend to lose or dismiss. However, when children communicate their sense of “God”, they very often express a feeling that has been dictated to them by their parents. They naively describe Reality according to a child’s psychology—that child-made awareness of Reality which is not natively associated with great, abstract propositions. It is not that children are free of mind, and (therefore) their “religious” concepts are purer than those of adults. The “religious” concepts to which a child can be sensitive and responsive are generally built upon the psychology of the childhood situation—which is one of being dependent on a parent or parents, particularly on the mother. The parent-child relationship—in which the parent is a great, “experienced” person there to protect the smaller, vulnerable person—provides the naive basis for childish “religious” views and for what are commonly called “religious” views in general. In other words, the notion that people have of “God”—apart from Real-God-Realization Itself—tends to be a carryover, an extension of the childish situation. Therefore, “religion” tends to be regarded as a “solution” for a rather infantile “problem”: the need to be protected, sustained, and made to feel that everything is all right and that everything is going to be all right, the need to feel that there is a superior “Other” in charge of everything. When people communicate to their children about “God”, they commonly speak of “God” as a kind of super-version of mommy-and-daddy. When people speak to one another about their earliest “religious” consciousness (and it is more a kind of conventionally acquired mental attitude than it is a matter of direct perception), they commonly talk to one another in terms of a child’s model of Reality. 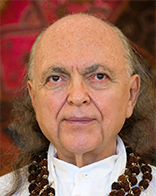 However, to truly enter into the Process of Reality Itself, you must transcend the child’s version of Reality. To become human, to be an adult, a mature human personality, you should have overcome that childish view.